Above all, Mama Porter tells it like it is. While that can say it all, for those wanting more detail, here is a bio. Currently the President of the Board of the non-profit organization Heal My Voice, Karen is a contributing author to HMV books including, Fearless Voices, Empowered Voices, Inspired Voices, Harmonic Voices and Voices of Love. Karen co-authored Conscious Choices, An Evolutionary Woman’s Guide to Life. Karen is an Enwaken Energy Coaching and Leadership graduate, and is an ordained Minister of Spiritual Peacemaking for the Beloved Community. 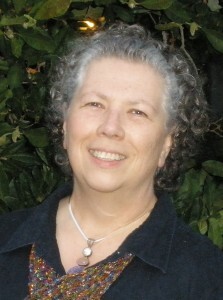 Karen practices Sound Massage and leads healing meditations using Tibetan Singing Bowls. Karen is a certified Qi Gong Instructor and a Certified Sound Methods Therapist through the American Institute SMT. In 1991, Karen was the first parent to travel to the USSR to adopt and seeing the conditions in her sons’ orphanages, began relief work and co-founded Children in Common to continue helping the children remaining in orphanage care. Karen was named Knitter’s Magazine “Knitter of the Year” for 2007-08 for incorporating knitting in her Children in Common work. An expert on institutionalization’s effects on children, Karen developed a parent education course, preparing more than 1000 families adopting children from orphanages. Karen has been a crisis counselor, volunteer coordinator and has owned a crafts gallery. Karen’s academic degree was earned at the College of Notre Dame.